The legendary, record-breaking, Box Office smash hit thriller returns and will play at Glasgow’s Theatre Royal this autumn! The world’s favourite murder mystery is heading back on tour throughout the UK later this year and will be playing at Glasgow’s Theatre Royal from the 28th October to 2nd November 2019. 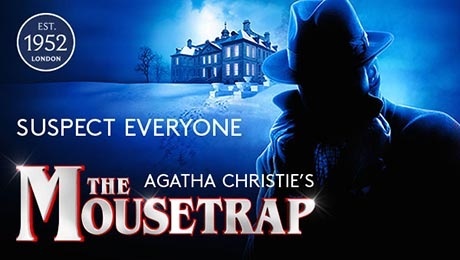 The Mousetrap is famous around the world for being the longest running show of any kind in the history of theatre, with over 26,000 performances in London.